Thanks for using ABCGlobalServices.com. The ABC Global Services website available at www.abcglobalservices.com is owned and operated by ABC Global Services, Inc. (“ABC,” “we” or “us”). 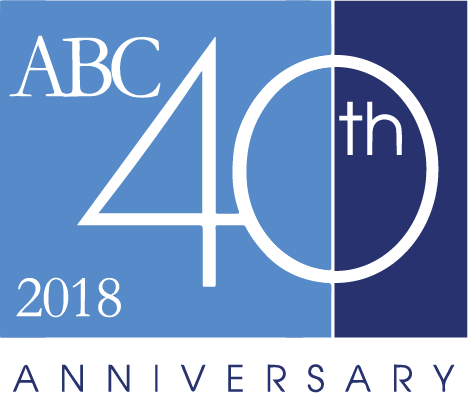 ABC provides a platform that allows our travel agency partners and travel suppliers to obtain information on our company, programs and services. Information collected by anyone other than us (even if related to our business). Unsolicited information that you provide to us through the Services or through any other means, including information posted to any public areas of our Services, such as bulletin boards, any ideas for new products or modifications to existing Products and other unsolicited submissions (collectively, “Unsolicited Information”). All Unsolicited Information is deemed to be non-confidential and we are free, and you hereby grant us the right, to reproduce, use, disclose and distribute such Unsolicited Information to others without limitation or attribution. When you register with or otherwise use our Services (including making reservations for services, requesting support services, contacting us on our Services or subscribing to our newsletter or mailing list), you may give us Your Information directly. For instance, when you register with our Services, you will provide us with your name, mailing address, telephone number, email address and other information that may help us improve our Services. Further, we may charge fees for all or part of our Services. To the extent that we charge any such fees, then you may provide us with certain financial information (such as credit card or bank account numbers) in connection with a Transaction. If you choose not to provide us with any requested information, you may not be able to use some or all of the features of our Services. Our Services may allow you to communicate or share information with us as well as other ABC users (including hotels and guests). For instance, you may post public comments or send private messages. You expressly acknowledge and agree that we may access in real-time, record and store archives of these communications and comments (including any call or message data, such as the date, time and content of such call or message and the applicable phone numbers) on ABC’s servers to make use of them in connection with our Services. When you use our Services, we and service providers acting on our behalf may use technology to collect information about you, including your location, IP address, browser type, ISP, referral and exit pages, clickstream data and information related to your device, such as hardware models and IDs, device type, operating system version, the request type, the content of your request and basic usage information about your use of our Services, such as date and time. We may also collect and store information locally on your device using mechanisms, such as browser web storage and application data caches. We and service providers acting on our behalf may collect such information through a variety of technical methods, including sending cookies, web beacons, pixel tags and other anonymous identifiers to your device. “Cookies” are pieces of data stored on our computer, mobile phone or other device. A “web beacon” is a type of technology that lets us know if you visited a certain page or whether you opened an email. A “pixel tag” is a type of technology placed within a website or email for the purpose of tracking activity, which is often used in combination with cookies. Other “anonymous identifiers” are random strings of characters used for the same purposes as cookies, such as with mobile devices where cookie technology is not available. These technologies help us know that you are logged in to your ABC account, provide you with features based on your preferences, understand when you are interacting with our Services, and compile other information regarding your use of our Services. Please note that, in most cases, you can stop making your location available to us or remove or block cookies (such as by using the settings in your browser), but doing so may affect your ability to use our Services. From time to time, we may participate in or use advertising networks, such as third-party advertising servers, advertising agencies, technology vendors and research firms. We may use these third-party advertising networks for marketing, advertising and promotional purposes, as well as to serve advertisements to you. Advertising networks often gather data about consumers who view advertisements to make inferences about a consumer’s interests and preferences, which enables such networks to deliver advertisements directly targeted to the consumer’s specific interests. This practice is often referred to as “online behavioral advertising.” For example, a third-party advertising network might collect the type of Internet browser you use, the type of computer operating system you use, the domain name of a website you visit, whether or not you visit specific pages of a website, the location of your Internet service provider’s presence, the date and time of a visit to a website and other interactions between you and a website. Please see the Online Behavioral Advertising subsection of the Choices About How We Use and Collect Your Information section below to read about how you can prevent certain third-party advertising networks from collecting information about you. Some content or applications, including advertisements, on our Services may be served by third-parties, including advertisers, ad networks and servers, content providers and application providers. These third parties may collect information about you when you use our Services. We do not control these third parties’ tracking technologies or how they may be used. If you have any questions about an advertisement or other targeted content, you should contact the responsible provider directly. Provide our Services to you. We strive to ensure our Services meet the high standards that you would expect of ABC. For example, we might confirm and complete Transactions requested by you, verify information that you provide to us and provide you with administrative notices. Further, we may provide Your Information to hotels or guests (as applicable) to confirm reservations, to facilitate a guest’s receipt of Services or to facilitate communications between a guest and a hotel. Contact you and provide you with information. For example, we might contact you through telephone, email, postal, notifications, text messages or other communications, where permitted by applicable law, to provide you with Service updates, advertisements or promotional materials, surveys, offers, quotes, personalized information and other information from us or our business partners. Other Purposes. We may also use Your Information in other ways. To the extent required by applicable law, we will provide notice at the time of collection and obtain your consent. Please note that the list above is not exhaustive and that we may, in our sole discretion, to the extent permitted by applicable law, share, loan, rent, sell or otherwise disclose information we collect from you to third parties at any time, for any lawful purpose, without notice or compensation to you. If we disclose Your Information to third parties, Your Information will become permanently subject to the information use and sharing practices of the third party. We have taken steps to ensure that such third parties respect Your Information, but please be aware that we make no guarantee whatsoever in connection with how such third parties use, disclose and treat Your Information and such third parties may further disclose, share and use Your Information. By submitting Your Information to us, you expressly consent to such disclosure and use of Your Information. If you do not want Your Information shared as described above, then you should not provide us with Your Information. We use a variety of technical, administrative and organizational security measures to keep Your Information safe. However, despite our efforts, please be aware that methods of transmission and electronic storage are not completely secure. We cannot guarantee the privacy or security of Your Information or any voice or data transmissions, as third parties may unlawfully intercept or access transmissions or electronic storage. Further, to the extent permitted by applicable law, we are not responsible for circumvention of any privacy settings or security measures of our Services. Therefore, you use our Services at your own risk, you should not expect, that Your Information or voice or data transmissions will always remain private, and we do not guarantee the performance or adequacy of our privacy settings or security measures. In the event that an unauthorized third party compromises our security measures, to the extent permitted by applicable law, we will not be responsible for any damages, directly or indirectly, caused by an unauthorized third party’s ability to view, use or disseminate Your Information. You may provide information (including messages and other content) to be published, posted, submitted, transmitted or displayed (collectively, “posted”) on or through our Services to ABC users (including hotels and guests) or other third parties (collectively, “User Contributions”). Your User Contributions are posted on our Services at your own risk. We cannot control the actions of other users (whether a hotel, guest or other user) of our Services with whom you may choose to share your User Contributions. Therefore, we cannot and do not guarantee that your User Contributions will not be viewed by unauthorized persons. Please exercise caution before posting any User Contributions on our Services. • Communications. If you do not wish to receive notifications, text messages, alerts, posts, notices, emails or other communications from us, you can opt-out of receiving such communications from us (other than service-related communications, such as those communications related to the completion of your registration, correction of user data, change of password and other similar communications essential to your transactions on or through our Services) through your account settings or, to the extent applicable, by using the unsubscribe process at the bottom of such communication or by emailing us at marketing@ABCGlobalServices.com. Please be aware that it can take up to 10 business days to remove you from our marketing lists. If you opt-out from receiving our marketing communications, you may continue to receive service-related communications, such as communications that are essential to your transactions on or through our Services. • Online Behavioral Advertising. Certain third-party advertising networks that deliver behavioral advertising are members of the Network Advertising Initiative (“NAI”). You can prevent NAI member companies from collecting preference data about you by visiting http://www.networkadvertising.org/choices/ and following the NAI’s directions. Note that if you opt-out through the NAI, you will still receive advertising. In addition, if you opt-out through the NAI and later delete your cookies, use a different browser or buy a new computer, you will need to renew your opt-out choice. Our Services may contain advertisements from third-party advertising servers, advertising agencies, technology vendors, research firms and other service providers, which are companies other than ABC that may link to their own websites, online services or mobile applications. We are not responsible for the privacy policies and other practices of such third parties, or the accuracy or quality of the services of such third parties. Any information that you disclose to third parties will be subject to the privacy policies and practices of such third parties. You should review the privacy policies and practices of such third parties prior to disclosing information to them. If you have any questions about how these third parties use your information, you should review their policies and contact them directly. Our Services are operated in the United States. Your Information may be processed by us in the country where it was collected as well as other countries (including the United States) where laws regarding processing of Your Information may be less stringent than the laws in your country.